Awww. This brings back memories for me. 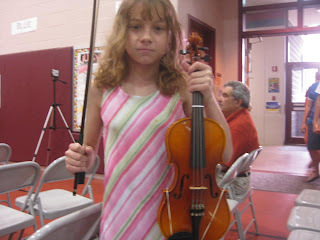 I was in orchestra at a very age and all through school after that. I still play. I love my violin. Maybe we'll get to hear her play sometime?? Oh that's so cool! 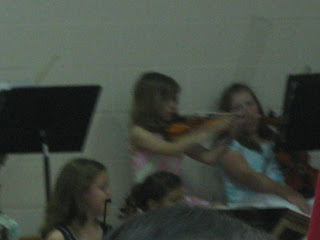 She plays the violin? I think they look so difficult to play but sound so beautiful. She is beautiful. Hope she did great.